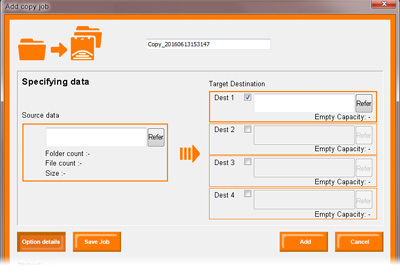 You can register target destination up to 4 destinations and make simultaneous copy to storage media. 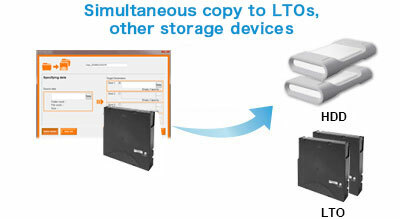 Enables to make any combination of LTOs and HDDs. 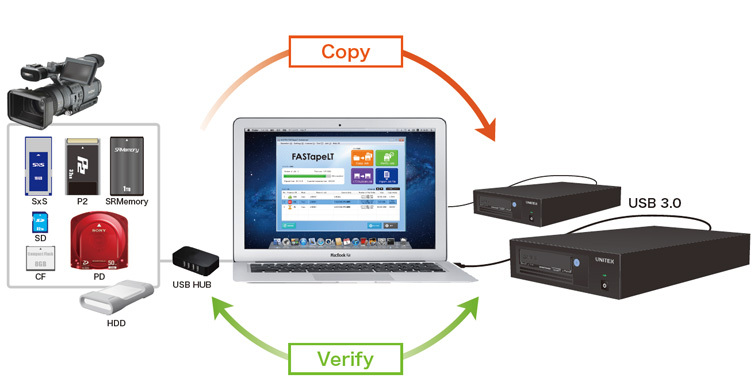 Enables to duplicate an existing LTFS format tape and create the exact same backup. Enables to manage a primary tape and a secondary’s. In the report, not only information of the copy source and the copy destination but also the result of copy/verify and error information are recorded. Job mode, Job name, and Verify mode are recorded. Job start and termination day&time, processing time, etc. 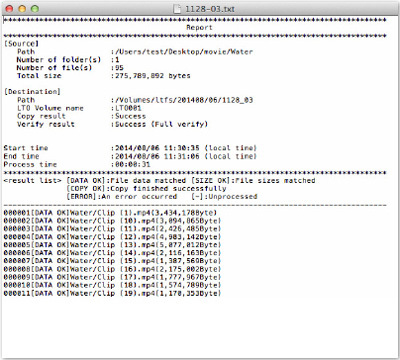 UNITEX FASTapeLT for Mac OSX requires a computer which enables the operation of the below OS and software. UNITEX FASTapeLT for Windows requires a computer which enables the operation of the below OS and software.